The curtain has officially closed on Act One of the USQ season, and while the East Coast has already seen the twists, turns and tragedies of a Homerian epic, California has yet to even take its seat. For better or for worse, Saturday marks the beginning of Act Two: Qualification. As the Northeast Regional Championship gets underway and brings us real stakes for the first time since US Quidditch Cup 9, we’ll be recapping some of the first scenes of the season. So what have we learned in the first two months? In some ways, you can argue a lot, with many teams already playing as many as three or four weekends of matches against other top teams. But in other ways, we know exceptionally little, as the number one team in our site’s rankings has yet to play a single official game. Today, though, we’ll focus on the information we have gleaned, breaking down the major storylines of the season to date. It’s only been seven weeks since I wrote that we could all save ourselves eight months and skip to a US Quidditch Cup 10 (Side note: How much cooler would it be if it was US Quidditch Cup X?) final between Rochester United and the Los Angeles Gambits. Thus far, it’s hard to really say how well that prediction is holding up. The Gambits, as previously mentioned, have yet to play a single official game. While going to overtime with the Lost Boys last weekend could be considered a poor result—especially with the seeming retirement of Alex Browne and Missy Sponagle—the game hit the trifecta of irrelevant results: an unofficial game played between teams that know each other very well in complete darkness. The Gambits remain number two in our poll, and beyond that there is very little to say about them. Rochester, meanwhile, is a more complicated case. Having traveled to the Great Lakes for an early-season tournament, they were promptly taken to overtime by Illinois State University and were beaten in the finals by Bowling Green State University, *80-70. They then went to the Oktoberfest Invitational and lost the equivalence of a finals there to Quidditch Club Boston, *90-70. That said, there are a fair share of asterisks to be put on these games as well. In my original article, I wrote that “Rochester will show up to a tournament in the fall with too few players, most likely with a lack of both Jon and Maria Jackson, and lose a game they have no business losing.” This hasn’t quite been true, but Josh Kramer and Maria—who starred at beater and chaser, respectively, for the team at US Quidditch Cup 9—have yet to attend a single match this season, despite being on the roster. Meanwhile, Shane Hurlbert was injured at the first tournament. He sat out the finals against Bowling Green and was playing at far less than 100 percent against Quidditch Club Boston at Oktoberfest. Despite all this, Rochester has yet to be outscored in quaffle points, and even put quality opposition like No. 15 The Warriors and No. 13 BosNYan Bearsharks out of range. Being so reliant on a small group of contributors is not an ideal characteristic for a contender, but is basically the norm across the sport. That said, there are some real concerns built into these results. 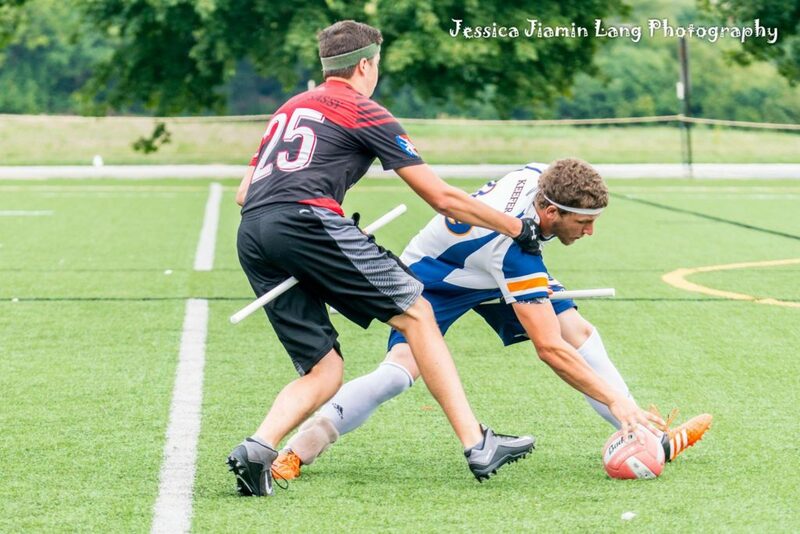 Cody Keefer was a breakout star at seeker during the team’s US Quidditch Cup final run, but Rochester has posted just a 1-3 SWIM record to start the season. And the team’s methodical play style—with possessions often lasting over a minute as they wait for their beaters to win an interaction and create a no-bludger situation—makes it difficult to really run away from good teams. A couple of fall losses will not run their season off the rails, but a convincing, full-rostered championship at the Northeast Regional would go a long way in assuaging early doubts and solidifying their case as national contenders. Despite all of this, the reason I’m still feeling good about my original prediction is that everyone else still appears incredibly flawed. Current No. 1 Texas Cavalry popped into the conversation with a dominant performance at an unofficial tournament before losing a game to Texas A&M at its first official tournament by 40 quaffle points, a larger deficit than the Gambits, Quidditch Club Boston, Lone Star Quidditch Club or Rochester faced all of last season against the rest of the field. No. 5 Texas A&M, meanwhile, couldn’t even make the semifinals of that tournament, bowing out to Texas Tech University in the quarterfinals. No. 7 Bowling Green has the Rochester win as a statement on its resume, but also has a Ball State University game played to a draw in the quaffle game dragging it down. The No. 8 Lost Boys lost the heart of its quaffle game; No. 10 University of Maryland is dealing with the double whammy of a loss to rival District of Columbia Quidditch Club and a throwing hand injury to starting beater Jeremy Dehn; and No. 14 RPI will be playing its first competitive games at full strength this weekend at the Northeast Regional Championship. Yes, No. 10 Lone Star Quidditch Club seems ready to gear up for a spring resurgence, with rumors of the return of most of their quaffle game and the addition of Ball State graduates Tyler Walker and Blake Fitzgerald. And, sure, No. 4 Quidditch Club Boston still has Max Havlin and Harry Greenhouse, who have, incredibly, still only lost one official game on US soil while playing together, and seem destined to drag this team, kicking and screaming, as far as their legs will take them. But the return of last year’s favorites as title contenders doesn’t really disprove my point. If anything, it highlights the staleness at the top of the league as it stands right now. The story of the season so far on a university level has been the University of Missouri, which has powered its way to a well-deserved Top 20 ranking with a series of impressive results. They raised eyebrows in a series of unofficial matches against the University of Kansas, the previously assumed favorites of the Midwest, but then made headlines by beating No. 17 Ball State, 110*-50, and No. 18 Oklahoma State University, 150*-80, on back-to-back weekends at two tournaments in two different regions. They also have an official win over Kansas, and their only setback so far has been a 120*-80 loss to University of Minnesota. In some ways, we should have seen these results coming. At US Quidditch Cup 9, Missouri failed to make it out of pool play with a 1-3 record, but the results are far more interesting than the record. The Tigers played eventual pool winners Rutgers University to a virtual draw in the quaffle game, were up 20 on the Fighting Farmers of America before losing on a snitch grab, and were still in range of Ball State when the Cardinals caught to win on their way to a Final Four appearance. A -10 quaffle differential in those three games speaks to a far more impressive team than the final record may have shown, and was also indicative of a likely upswing in performance entering the new season. 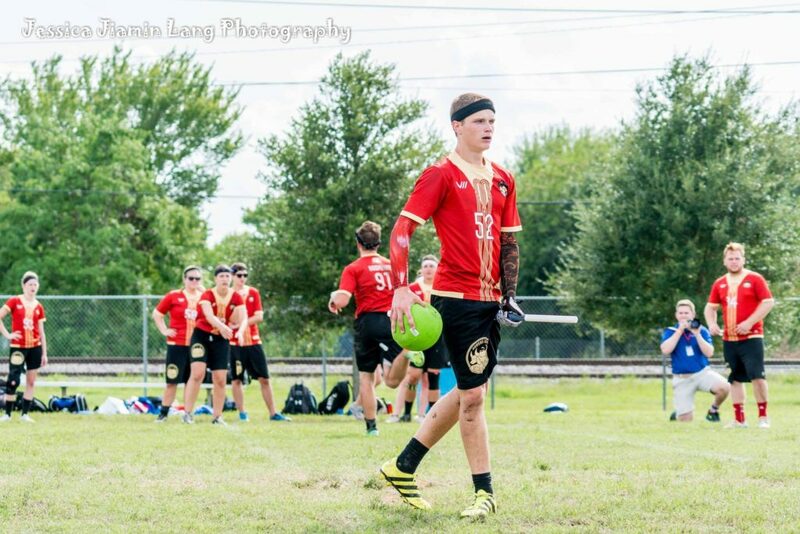 The team also benefitted from the inaugural season of the Kansas City Stampede in MLQ. In total, five members of the current Missouri squad played for Kansas City, and we may be seeing the same type of MLQ-induced upswing that we saw with certain East Coast and Great Lakes teams a year ago. On an individual level, the team’s breakout star has been beater David Becker, who was on the fringe of the top tier of beaters in the country a season ago. He impressed throughout the MLQ season, even in games against the likes of the Austin Outlaws beater corps, and now looks primed to reach the upper echelons of the position. Watching film of this team so far this season shows an aggressive beater, both willing to and capable of taking over games. In the Oklahoma State University game, after a brooms-up goal for the Cowboys, Becker forces two turnovers and creates two no-bludger situations in a matter of minutes, taking Missouri out to a 40-20 lead they would never relinquish. But, as we’ve learned, in the modern game, every star beater needs a ball carrier capable of scoring the points in those advantageous situations, and Jacob Parker has been doing an excellent job so far in that role for Missouri. He can put a fair deal of velocity on his quick-release throw, which is effective not only for shooting in the lane, but also for the occasional offense-creating pass to give Becker a breather from doing all of the offensive heavy lifting. There are still some foundational faults in the lofty staircase this team has traipsed up since the beginning of the season. Their tackling looked suspect, and in the modern game you simply cannot allow every no-bludger situation to turn into a goal and hope to compete at the highest level. They’ve also, likely coincidentally, shielded Becker from matchups with any of the game’s top beaters, traveling north but avoiding Max McAdoo and traveling south but avoiding Jackson Johnson and Harris Coleman. How the team will react when a beater can play even with Becker is a huge question for this team’s future. All of these potential concerns can be summed up in a single play from the Oklahoma State game linked above. At 4:55, Becker is beat out of the play, losing bludger control. What follows is a 47-second possession that includes three terrible Oklahoma State passes that aren’t defended; zero successful tackles; a loose ball that the Cowboys get to first; a give-and-go that’s not followed by the defender; and a single beat attempt from Kaylee Skistimas that is easily turned aside by a driving Hayden Applebee. Becker cannot be this team’s entire defense, and if they need him to be, the good results are going to dry up sooner rather than later. We should know a lot more about this team in a week’s time when they travel to Oklahoma for Cowboy Cup, which No. 6 Texas State University will also be attending. If Becker can handle the Texas State beaters and the team can pick up the slack at times when he can’t, the sky may be the limit for this season’s hottest team. It’s tempting to start drawing large conclusions a quarter of the way through the season. Two whole months have passed, regionals are starting this weekend and the northern regions are getting ready to go into a hibernation that ends just a month or so before US Quidditch Cup. But it’s also important to realize just how little of the sport’s top teams and players have even so much as stepped on a pitch so far. Just look at the members of Team USA 2016. Margo Aleman, Alyssa Burton and Amanda Nagy all play for California teams who have yet to play an official match. Tyler Walker has declared intent to play for Lone Star, but did not attend the team’s first official tournament. Michael Duquette is waiting for a good enough offer to play, colloquially known as “quidditch retirement.” Jayke Archibald has played 10 total minutes of Quidditch Club Boston’s nine official matches as he recovers from injury, while Stew Driflot will be making his season debut for the team this weekend. Simon Arends is currently only coaching, and Andrew Axtell isn’t with a team but is still interested in staying active enough to make a run at Team USA 2018. The picture is equally as murky when you look at it from the community team angle. Lone Star hasn’t brought anything close to a real roster to either of its first two tournaments. The Gambits and Lost Boys are still waiting to play their first official matches. The BosNYan Bearsharks are employing an equal playtime model that they intend to stick with at least all of the way until US Quidditch Cup weekend. Lake Erie Elite have the most impressive roster in the Great Lakes on paper, but have played just three official games and lost one of those to Central Michigan University. 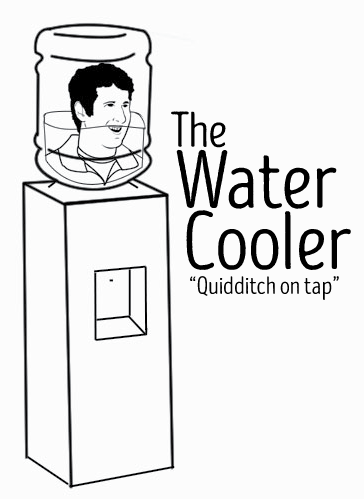 It’s very clear at this point that the US Quidditch season is simply too long with too few stakes to engage teams. For a top team, or even an above-average team, a regional qualification is a given, regular-season tournament titles are worthless—more and more of them aren’t even ending with winners—and the only teams with enough talent to win a regional title don’t really particularly value them, with many of their players having already won multiple. Maintaining a high ranking in the USQ standings is also not much incentive, especially when last year proved that an isolated team pool like the Northwest is more valuable for rankings than impressive results. What that leaves is a seven-month drudge to a single relevant weekend. It’s why a lot of community teams, especially those in the Southwest and West, aren’t even really bothering to try until the spring semester. It’s why college teams are bound to underperform because they are rightfully giving younger players playtime in games that are, realistically, meaningless, even if they are official. It’s why California basically hasn’t bothered to start playing quidditch yet. Something about the USQ season has to change, and it has to change soon. Whether it’s making US Quidditch Cup qualification more difficult; adding incentives for Regional Championship titles or major tournament wins; or shortening the season, something needs to be done to boost the entertainment and interest of the sport on a weekly basis. Because it has undoubtedly lost a lot of its luster.